Bob and Bob, Tom and Tom met Charles and Laura in Lone Pine for a day of hiking. We parked at the "road closed" sign on the Portal Road and hiked up the Portals. About an hour in to the hike it started snowing and was light and steady for most of the afternoon. We only hiked to the Portal because we all had obligations for the afternoon and evening. We met several hikers coming down who had aborted attempts at a Whitney summit due to storms and related fresh snow. 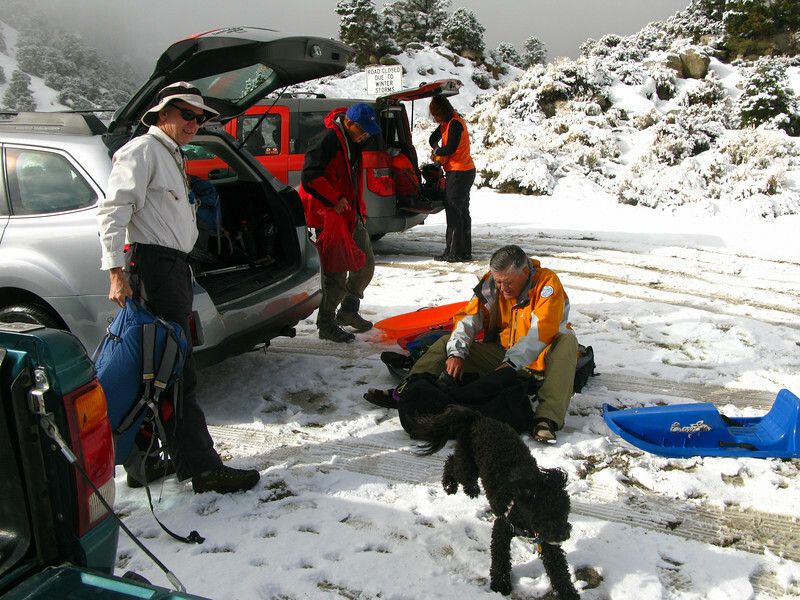 Bob H. brought along his dog Whitney - she was covered in snow by the time she got back to the car.